TEK Industries, represented by Alfatek, announced the release of its newest RFID hardware package: TEK Mousemat. This revolutionary, “Plug and Play” RFID scanner is packaged inside a mousepad. Measuring 9.25” by 7.75” with an integrated antenna, the TEK Mousemat interfaces with a desktop, laptop, or Pocket PC, via a USB connection, making it portable and adaptable. The TEK Mousemat RFID reader/writer operates at 13.56MHz and reads all ISO 15693 standard tags at a distance of 2”-6”, depending upon tag size. The TEK Mousemat is the first practical RFID Hardware of its kind to be released onto the market. “For the first time, there is a reader available which embodies the best of what RFID systems are supposed to provide,” says Scott Hoffman, director of sales and marketing for TEK Industries. 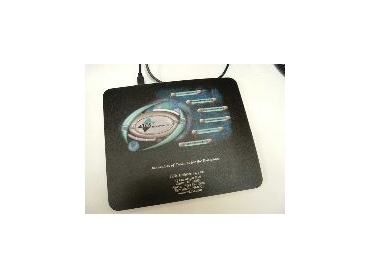 The TEK Mousemat is targeted toward a variety of applications including inventory management, computer security, facility access control, file tracking, item verification and authentication. While there will be focus on these traditional avenues of RFID deployment, TEK Industries feels the TEK Mousemat will attract small to medium businesses that do not have large IT Budgets. The wide market reach and versatility is key to the TEK Mouse mat’s anticipated high demand. There is a range of available options such as customisable logos and customizable packaging, including a “paddle” version for handheld applications and an RS232 connection. For custom mounting applications, the board without the mousepad is available and reduces unit size to approximately 3” by 4”. To expand the range of capabilities further, a 915MHz UHF version will be released later this year.